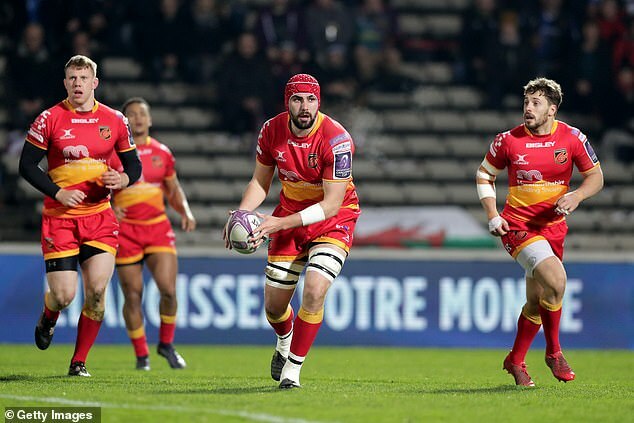 ‘Cory who?’ no more – Wales’ latest second-row sensation may have been used to making up the numbers, but is now primed to step out of the shadows in the Six Nations. Type Cory Hill’s name into Google and you will be pointed in the direction of the American mixed-martial artist, who died aged 35 in 2015. 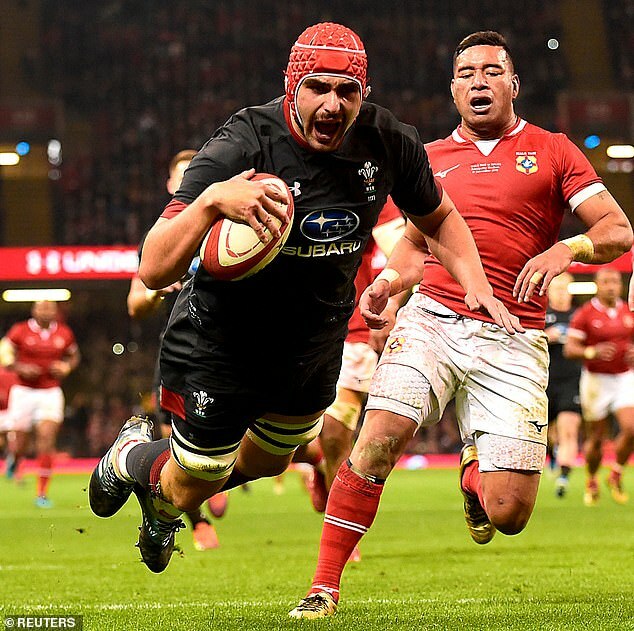 Warren Gatland rates him as the most improved member of his squad and Hill is touted as Alun Wyn Jones’ heir – but the man himself prefers to stay off the radar. 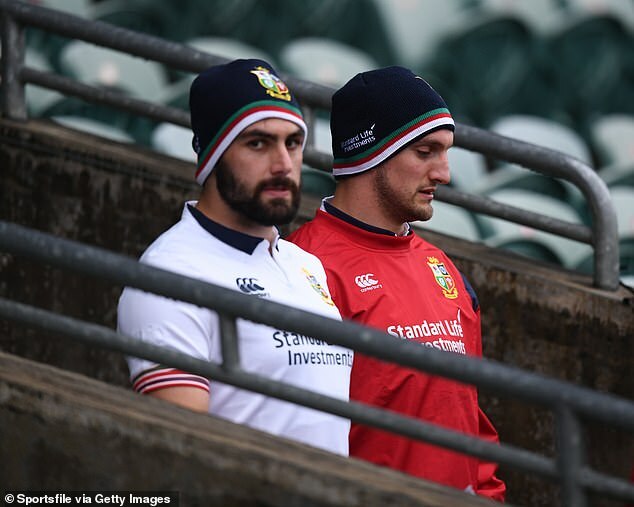 ‘You know what it’s like, when you first come on the scene you are a bit sketchy and I didn’t want too many people speaking about me,’ he tells Sportsmail. You are more likely to see the son of Maesycoed playing pool and darts in Pontypridd on week nights than on the cover of modelling magazines. ‘We would have a laugh and say “fancy a nice bit of pool recovery tonight, lads? Ease the legs off?”’ Hill grins. Hill did not take the darts seriously enough to have a nickname, but perhaps ‘whirlwind’ might suit. That is how he describes both his first forays into senior rugby, and his Wales debut in 2016. Having captained the U20s, and secured a place in a Cardiff Blues side along with Martyn Williams and Gethin Jenkins as a teenager, after coach Dai Young left Hill was suddenly released in 2012. His subsequent move to Moseley in the English Championship was ‘the kick up the arse to get back on track,’ as he puts it. 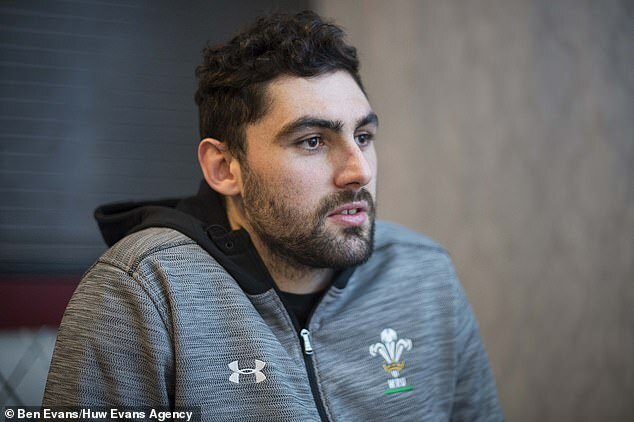 From sleeping on bean bags at team-mates houses near Birmingham, to making his Wales bow by 2016 having been picked up by the Dragons Hill has had plenty of ups and downs. ‘You can’t always have the smooth you always want,’ he says. ‘My Wales call-up was a whirlwind. I was playing for the Dragons in Russia and Rob Howley asked me to train as they had a few injuries. ‘I rocked up at the Vale and it was like the first day of school. I was there to make up the numbers until others were fit. ‘I obviously impressed and the follow week was named on the bench for Australia. ‘I was straight into calling the lineouts! 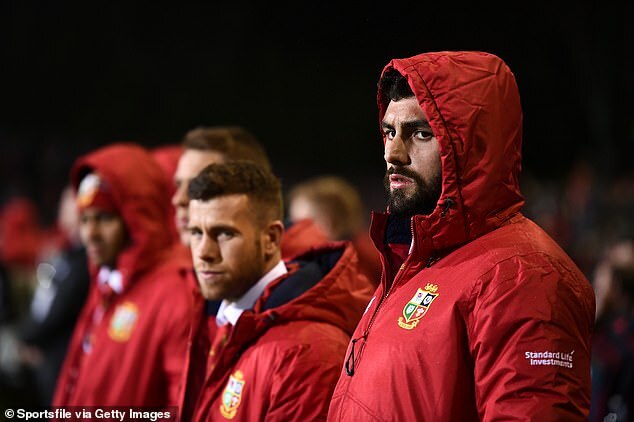 There were plenty of slaggings when he was parachuted in with Finn Russell, Alan Dell, Kristian Dacey, Gareth Davies and Tomas Francis late to the 2017 Lions tour, in order to fill the bench in the final tour game against the Hurricanes and protect the Test players. Of course Hill accepted – and loved it – but being caught in a media frenzy soured the experience somewhat. ‘We were being hit pretty hard,’ reflects Hill who still has four bags of initialled Lions kit hidden away on top of his wardrobe. ‘With social media these days, everyone is a pundit. Two years on, Hill is no longer filler. He skippered Wales tour the summer tour to the Americas, and has played in 10 of the country’s 11 consecutive wins since June. 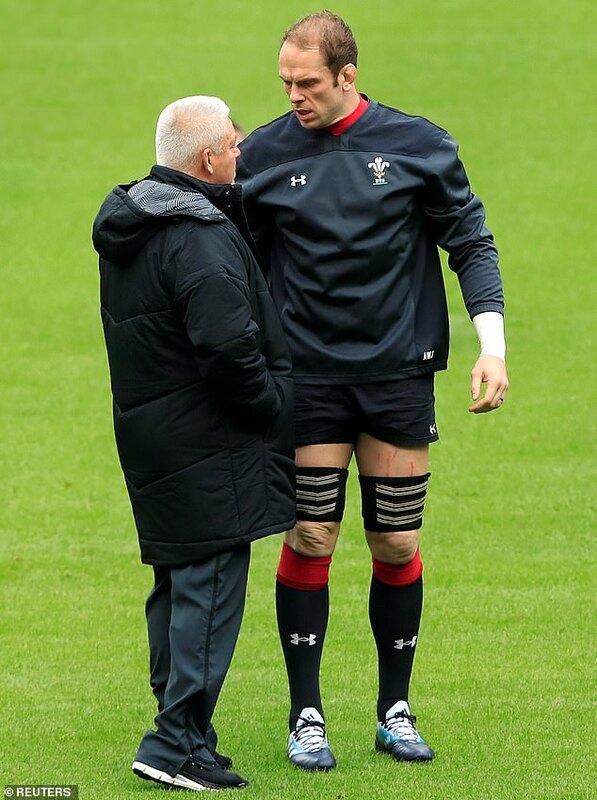 Now he is out to emulate his similarly old-school locking partner Jones and repay Gatland’s this Six Nations. ‘Alun Wyn is an absolute master of the game, a great bloke off the field and a fiery old character on it,’ says Hill. ‘He’ll certainly help with your roles if you don’t know it, but if you don’t learn he’ll give you the stare! ‘He’s one of the best trainers, and players, I’ve ever seen. I definitely look up to him. ‘Warren called me up to the Lions, backed my ability even though others didn’t. He is one of the best coaches in the world and a massive influence on my career. Hopefully we can repay him.